Also on the anvil is a film based on the life and times of legendary actress Madhubala. Is Kiara Advani’s look in Kalank’s song inspired by Madhubala? ‘First Class’ is reportedly the introductory song for Varun Dhawan in ‘Kalank’, which is slated to release on April 17. Yash Johar Biography: Madhubala was impressed by Yash Johar's photography. 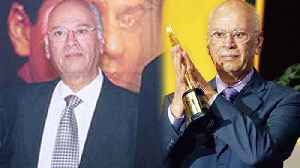 Yash Johar was born on 6th September 1929 in Amritsar, India. He was an Ace film producer. He established his own production.. It has been a long time since actors like Bhagyasri, Madhubala, Sadaf Mohammed Syed, Suman Ranganathan, Deepthi Bhatnagar, Pooja Jhaveri and other actors have been part of any films in Telugu film.. The 51-year-old actor paid tribute to the late legendary actor on her 86th birth anniversary. 6 Iconic fashion statements we owe to Madhubala! The iconic actress was a style diva and was known for setting some path-breaking trends and on her birthday, we take a look back at some trends she made popular. On Valentine's Day, Google doodled the star-crossed iconic character from "Mughal-E-Azam", Anarkali. Today’s Google Doodle marks the 86th birthday of actress Madhubala, who is revered in the industry as an icon of Indian cinema. Madhubala, who is also widely known as “The Marilyn Monroe of..
Often referred to as the 'Marilyn Monroe of Bollywood', Madhubala was a gifted actor and was known for her beauty, personality and sensitive portrayals of women in films. She was Born in Delhi in 1933..
Popular actress Tamannaah Bhatia on Monday said playing a character in a period film is quite different from enacting a normal role. The Baahubali actress said she has been sceptical of accepting.. The upcoming episode of dance reality show, Dance Deewane, will see Bollywood's Dhak Dhak girl Madhuri Dixit Nene relive a few moments from yesteryear actress Madhubala's iconic Mughal-e-Azam song..
India lost its 'Chandni' forever on February 25, 2018. Sridevi's tragic death left the entire nation in a state of deep shock. The actress suffered from a cardiac arrest when she was in Dubai to attend..
She can already feel the pressures that comes along with celebrity status. But she is wading through it. Jhanvi Kapoor: "I am my mumma's daughter, so I look like her, but I know I am different." Now a biopic on 'The Beauty With Tragedy' Madhubala! Madhubala's youngest sister has announced that a biopic will be made on the late legendary actress. When Madhubala Srivastav, now 86, started out as a journalist in the badlands of Bundelkhand in the 50s, there were little to none women in her profession locally. A 29-year-old woman allegedly committed suicide at her residence in North-East Delhi's Jyoti Nagar area on Saturday morning. The woman had sent out messages to her parents informing them where she had.. While intimate stage pieces hold their own sway over the theatre-going audience, large-scale productions have their own thrill and charm. There is a sense of awe when you witness a live act on stage..
A hot and humid climate is not your make-up's best friend. To prevent it from melting and make it last longer, stay away from liquid or cream bronzers and invest in good powder eyeshadows, suggest..
Drashti Dhami alleges that Abhinav Shukla, the producer of her show Madhubala - Ek Ishq Ek Junoon, owes her dues worth Rs 36 lakh. It's not just Amrita Rao who flagged the issue of non payment of Rs 22 lakh pending for her participation in the show 'Meri Awaaz Hi Pehchaan Hai', Drashti Dhami is also facing similar issues. The classic actress of the bygone era was featured in its new segment, Overlooked, where the daily featured "15 remarkable women that (it) overlooked in (their) obituaries". 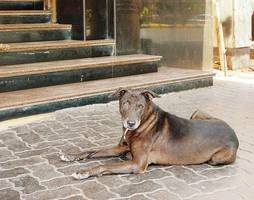 Madhubala was born with a ventricular septal defect, a hole in her heart. The condition was diagnosed in 1954 and there was no treatment for it. She passed away on 23 February, 1969, just nine days..
Blade Runner 2049 actor Mackenzie Davis is in negotiations to star in the new Terminator film. If finalised, the 30-year-old star will join Linda Hamilton and Arnold Schwarzenegger in the latest..